". . .these two groups of women are indeed sisters under the skin, and these authors are sisters as well": Ellen Prentiss Campbell on connecting Nesbit and Otsuka through their use of first-person plural. This week we’ve returned to Ellen Prentiss Campbell’s 2014 essay “In a Shared Voice,” which examines the first-person plural point of view in Julie Otsuka’s The Buddha in the Attic and TaraShea Nesbit’s The Wives of Los Alamos. 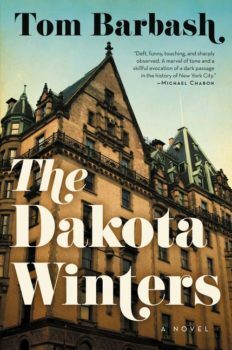 Good historical novels transport the reader to another time with accurate period detail but also resonate with the eternal human condition. Both The Buddha in the Attic (Knopf, 2011), Julie Otsuka’s second novel and winner of the PEN/Faulkner award, and TaraShea Nesbit’s debut novel, The Wives of Los Alamos (Bloomsbury, 2014), accomplish this as the authors explore the impact of World War II on two seemingly very different groups of women. Otsuka’s characters are Japanese “picture brides,” who immigrated to marry men they had never met. 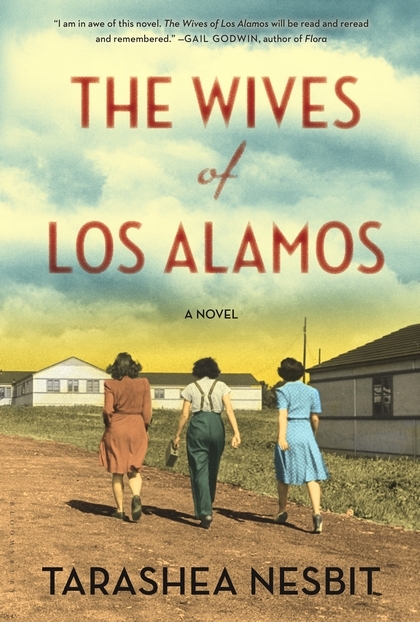 Nesbit’s are the wives of the Manhattan Project scientists, transplanted to the secret desert community of Los Alamos. Although set apart from each other by culture and race, the lives of the two groups intersect during a critical era. But more than simply overlapping for a moment in time, the women’s lives—and these novels—connect on the deeper level of universal experience. Although members of two very distinct sisterhoods, the women are unmistakably part of the same extended family. Similarly, while the authors and their subjects are distinct from each other, they are still related—not just by chosen era and topic but also by theme and style. The language in these eloquent brief works is plain, but lyrical as blank verse. Further, the ultimate destination for both these narrative journeys is a consideration of the question of complicit guilt. And, most striking, both authors employ first-person plural point of view: we rather than I, the collective rather than the individual voice. The roots of the first-person plural voice extend back to the chorus of Greek drama, as noted by Laura Miller in her essay “The Last Word; We the Characters.” This point of view is sometimes referred to as “the town voice,” as for example in William Faulkner’s 1930 story “A Rose for Emily.” More than half a century later, Jeffrey Eugenides’ debut novel The Virgin Suicides (Farrar, Straus, and Giroux, 1993) would be told in the collective voice of teenage boys trying to make sense of the consecutive suicides of sisters in their suburban neighborhood. And there are myriad others from the last half of the century, as noted in an essay in The Millions last year: During the Reign of the Queen of Persia, by Joan Chase (1983); Then We Came to the End, by Joshua Ferris (2007); The Autumn of the Patriarch, by Gabriel Garcia Marquez (1976); Our Kind, by Kate Walbert (2004); and so on. Nesbit herself explored the increasing use of a variant of the voice, “differentiated first-person plural,” in an essay this spring in The Guardian. In differentiated first-person plural the choral voice occasionally breaks into solos. Nesbit cites Otsuka’s The Buddha in the Attic as an example of this variation on the first-person plural point of view, and employs the technique of differentiation herself in The Wives of Los Alamos. Differentiated first-person plural as used by Otsuka and Nesbit engages the reader with a multitude of voices and experiences—rather like a profound version of “class notes” in an alumni magazine. For me, reading these novels by Otsuka and Nesbit in close succession put their two communities of women in conversation with each other. These authors’ use of differentiated first-person plural makes it easy to imagine the two novels adapted and performed together as a staged reading: two choruses facing each other across the stage, a spotlight occasionally singling out a single woman as she soliloquizes. Otsuka, herself the daughter of Issei (first-generation Japanese immigrants) detained during World War II, told Harper’s that she was drawn to her subject because of the communal silence among her mother’s generation about the women’s wartime experience. She wanted to “give a voice to these invisible, unsung women” as well as explore their denial and passive betrayal by their white neighbors. 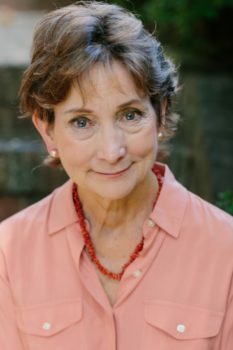 Initially, she tried to tell the story through the perspective of one woman but first-person plural permitted her a “much larger story.” Inspiration came to her “aurally—through the rhythm of language,” as she read memoirs, listened to oral history, conducted interviews, and visited the sites of the camps. …the women often took on the “we voice” themselves. If asked what Los Alamos was like for them, they replied with things like, “We all hated the stove”…their primary identity during that time was of a group member and their secondary identity was that of an individual. So both authors found first-person plural best suited for the untold story of a community of women. In these novels, the authors explore the bonds and fractures born of shared exile. The members of both groups are bound together by role, circumstance, and transformative experience. They speak in the common voice and language of family members and front-line trench mates. Although the historical events and social history could have been conveyed through a single view-point character, here the accretion of multiple merged viewpoints is more powerful and compelling. Perhaps a comparable contrast is the difference between a clinical psychologist’s in-depth case-study of one patient versus a social psychologist’s dissertation on group morés and identity. 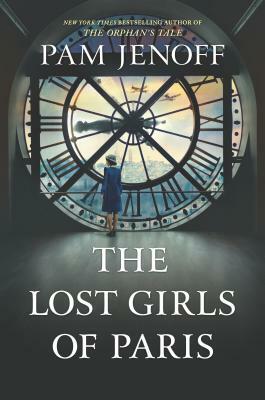 Like cultural anthropologists, but with the value-added insight available to fiction writers, Otsuka and Nesbit probe the hearts and minds, hopes and fears of their protagonists through the universal experiences of marriage, childbirth, motherhood, friendship, jealousy, loneliness, homesickness, and loss. They describe daily life: sleeping, making love, bathing, dressing, laundering, shopping, cooking, caretaking, letter writing, and socializing. And then, finally, historical events force both groups of women to painful epiphany and revised understanding of their identity and role. Throughout the novels, tension quietly builds under the quotidian surface and culminates in anguish and shame. How could we not have known? How could we not have fully known? Some of us thought we saved one half million lives. Some of us thought we, or our husbands, were murderers, that we had helped light a fuse that would destroy the world. And so, although culturally, racially, and experientially distinct, these two groups of women are indeed sisters under the skin, and these authors are sisters as well. I recommend reading the novels in tandem. The counterpoint between the two amplifies their individual effect; the composite becomes more powerful than the sum of the individual parts. Within a brief span of pages, both authors trace their characters’ memorable journeys from innocence to experience—literal journeys to unknown destinations, as well as internal psychological journeys. And finally both narratives arrive at disturbing, eternally resonant revelations.